The LANAP protocol is a laser-based approach to gum disease using an Nd: YAG free running pulsed laser requiring specific knowledge and skills drawn from the whole dentistry. For patients looking for a LANAP Procedure New Hyde Park experts at North Island Dental Arts are available to help. To you, the patient, this means less pain, less bleeding, less swelling, less tissue removed, less downtime, and less recovery time which is decidedly less costly to you and your employer. We use the LANAP protocol to treat gum disease to: remove only the diseased tissue without removing any of the healthy tissue, maintain the height of the tissue around teeth, minimize pain and discomfort to the patient, get a closure of the periodontal pocket wound and allow healing to take place. 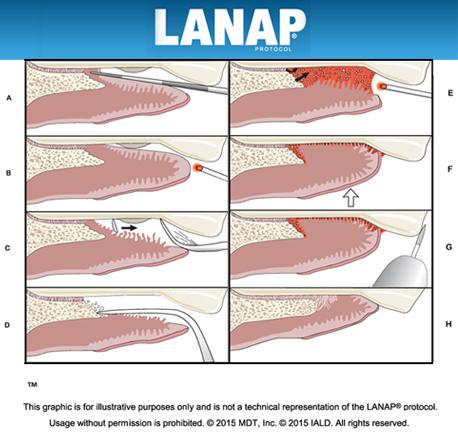 LANAP Procedure New Hyde Park patients should contact us today to learn more. Controlling the periodontal disease makes it possible to save and restore otherwise hopeless teeth. 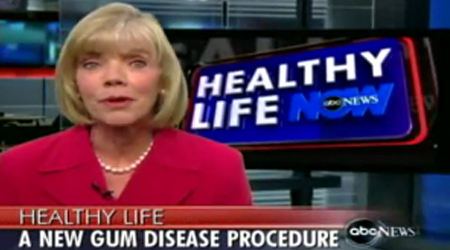 If you suffer from gum disease, LANAP might be the best solution for you. If you want to learn more about the LANAP Procedure Long Island dental experts at NIDA can answer all of your questions. Our New Hyde Park office is easily accessible from the surrounding towns on the long island, and we are unmatched when it comes to our experience with performing LANAP Procedures on Long Island. If you’re interested in learning more about the Lanap Procedure Long Island dental experts at North Island Dental Arts will assess your teeth and gums, and answer all questions about the procedure. Perio probe indicates excessive pocket depth. Laser light removes bacteria and diseased tissue. Ultrasonic scaler and special hand instruments are used to remove root surface tarter. Bone is modified at time of surgery. Laser finishes cleaning pocket and aids in sealing the pocket closed so new germs cannot enter. Healing of gums to clean root surface occurs. 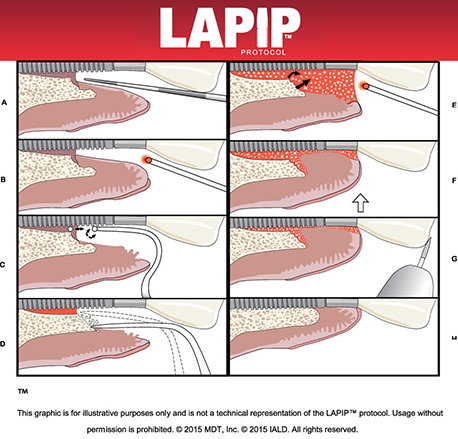 The LAPIP protocol is a laser-based approach to helping to treat ailing and failing dental implants. 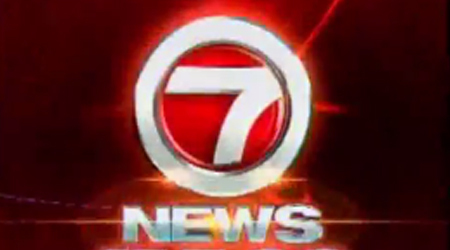 The LAPIP protocol utilizes the unique PerioLase® MVP-7, a Nd:YAG free running pulsed laser requiring specific knowledge and skills derivative of the LANAP protocol. To you, the patient, this means the opportunity to protect your implant investment with no cutting, bone grafting or stitches. This means less pain, less bleeding, less swelling, less tissue removed, less downtime, and less recovery time which is decidedly less costly to you and your employer. Closes the periodontal pocket wound to allow healing to take place. The LAPIP protocol is a no-risk first line treatment that preserves other treatment options. Controlling peri-implant disease makes it possible to save and protect your implant investment. Laser vaporizes bacteria, diseased tissue, pathologic proteins, and titanium corrosion contaminants in soft tissue. Ultrasonic scaler tips are used to remove surface accretions. Laser is used to form a stable fibrin blood clot containing stem cells from bone. Adhesion to clean surface, with a stable fibrin clot at the gingival crest to create a ‘closed system’.